Everyone loves to say my husband & I are #RelationshipGoals & while it’s cute, sometimes I cringe because I’m always thinking “you have no idea! !” People see the external success of a Doctor & Lawyer- to be- duo & they are mesmerized with the titles having no clue what it takes to make this unit function. So here is some advice. SACRIFICE – You have to be willing to sacrifice! I put this one first because I can’t stress it enough. There is a lot of behind the scenes that comes along with the title of “Doctors Wife.” A bunch of people assume because your husbands a “Doctor” everything is perfect, you’re rich, & you have no problems in the world- & if you do -money can fix it! Ummmm All of those things are FALSE. Don’t get me wrong, I love our life and I am not complaining at all, but it is not liken to the image people have made up in their minds for it to be! I’ve gotten comments before like “You’re lucky your husbands a Dr. y’all are going to be rich” or my favorite “Why are you even in Law School? You can just be a stay at home wife who shops all day”. LOL I can’t laugh at these misconceptions hard enough. 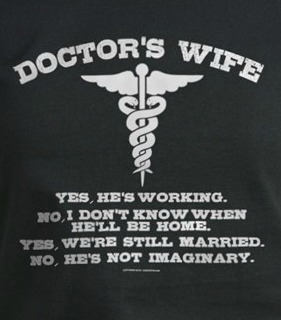 Breaking News: Being a “Doctor’s Wife” is not that glamorous. A lot of people want the “perks” without putting in the work. I am here to tell you, being a Doctor’s Wife usually means at times you come second. Ok, first after God but seriously, your husband’s patients come first! So why yes I’m lucky I get to live a totally unpredictable life most of the time. It makes for some excitement occasionally but it can also be a total buzz kill. 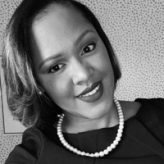 I joke all the time about being a “single wife.” I learned the game quickly and how to master getting things done without my husband being present. Now I will say we get a lot of family time compared to some, but that was because of his sacrifice: he intentionally chose a specialty that would allow him to have a balanced family life- which means more than the monetary gain of other high-income specialties. Also, being married to a law student is rough. Most of their days and nights are spent studying. ALL. THE. TIME! If you can’t sacrifice your needs for the betterment of your partners academic obligations, sorry, but It isn’t for you. I was sooooooo fortunate that Noah had gone through 2 years of medical school before I decided to go to law school. He understood my life and struggles in a way a normal Spouse or just people in general might wrestle to comprehend. It got to the point that they didn’t even ask when they called because they always knew the response but it was 100% accurate. Whenever I was not in class, I was usually studying. I did give myself one day a week (typically Sunday) to do nothing related to law school, but aside from that even on my longgggg commute or in the gym I listened to my outlines that were pre-recorded on my phone. I was constantly learning. While I enjoyed those moments and wouldn’t trade them for anything, if you’re not willing to understand that you can’t do/date/be on the scene like everyone else (the training years are straight up Grind Time) you’ll have a hard time making it work with any person in a high demanding career. Oh & speaking of misconceptions & sacrifice, most physician spouses who are SAHMoms/Wives that you think are with their husband for his money and stay home because they got it like that! (where?) lol – are usually well educated women who had to put their lives on hold for their spouse.